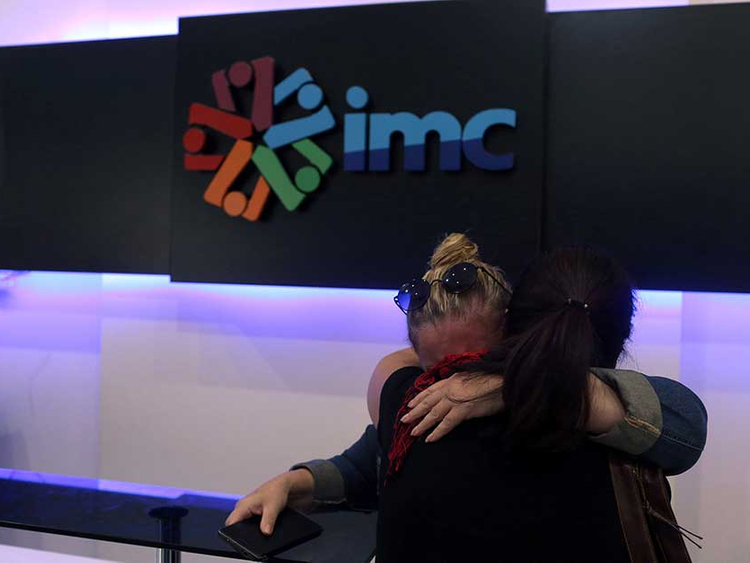 Istanbul: Turkish police on Tuesday raided the Istanbul headquarters of prominent pro-Kurdish television channel IMC TV, cutting all its transmissions while it was live on air. In dramatic scenes, police raided the IMC TV headquarters and stopped broadcasts despite protests by staff who thronged the studio, its own live pictures showed. The channel was one of several outlets ordered closed last week under Turkey’s controversial state of emergency imposed in the wake of the July 15 failed coup. The state of emergency has since been extended by another three months from October 19. The order has also affected 12 other television channels, which have been forced to cease their broadcasts on charges of links to groups deemed to threaten Turkey’s national security interests and support terror. Besides being accused of supporting the July 15 coup, they are charged with broadcasting “terror propaganda” for the outlawed Kurdistan Workers Party (PKK). Activists have repeatedly warned that the state of emergency could be used for crackdowns beyond the coup suspects. IMC TV’s management has rejected the accusations and called the order a “massive breach of freedom of speech and freedom of the press,” saying such actions have no place in a democracy. It had already been taken off air by Turkey’s largest satellite operator on the grounds of broadcasting “terrorist propaganda”. But the television broadcaster had remained on air until Tuesday through the Hotbird satellite and internet broadcasts. Dozens of staff crowded the news studio in a final show of defiance before broadcasts were cut, chanting “free media will not be silenced” and applauding their management. Images showed engineers from the authorities physically removing cables from the control room to ensure all broadcasts were cut. The closure has come at a time of growing concerns for press freedom in Turkey in the wake of the coup, with several prominent journalists under arrest. IMC TV, which was founded in 2011, has a strong pro-Kurdish tilt but broadcasts in Turkish and also focuses on women’s, leftist and environmental issues. It has always denied being linked to any organisation.